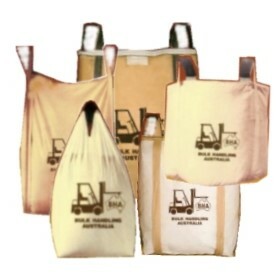 Bulk Handling Australia Group Pty Ltd is one of Australia’s most reputable suppliers of bulk bags (FIBC) and other packaging products. 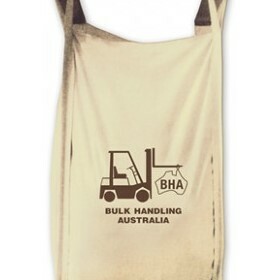 Since 1985 Bulk Handling Australia has evolved from supplying standard bulk bags to offering customers a full range of customised packaging solutions across a range of industrial packaging product categories. 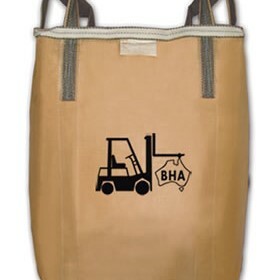 In 2002 Bulk Handling Australia acquired Visy Industrial Textile. Bulk Handling Australia has grown to establish to a network of warehouse and distribution facilities in each state throughout Australia and New Zealand Nth and Sth Islands. This network of facilities offers customers easy local access to a national solution for industrial packaging requirements. 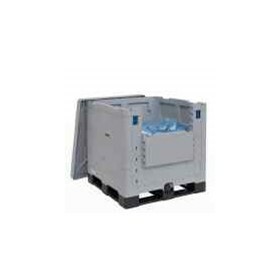 The company has sales representatives in each State of Australia and New Zealand offering over 150 years combined industrial packaging experience. Our continued successful growth is based on a strong commitment to exceeding customer expectations for: reliability; prompt service, quality products and innovation. Our in-house technical team and inventory management systems provide customers with a speedy service and a quality product to meet exact requirements. Bulk Handling Australia is a founding member of the Australian Flexible Intermediate Bulk Container Association and continues to play a major role in industry forums. Bulk Handling Australia continues to focus on its core strategy of delivering innovative and cost effective packaging solutions that exceed customer expectations. Bulk Handling Australia has a state of the art CRM system that enables a fast & efficient turnaround from receipt of a purchase order to in-store delivery throughout Australia & New Zealand. Through its in-house expertise, innovation and close partnerships with key manufacturers, Bulk Handling Australia is able to develop, test and modify new products that best suit customer requirements. Our range of products, competitive pricing and national strategy provides customers with the most cost-effective price and quality. Bulk Handling Australia’s national network of locations and sales team offers customers local and national solutions, convenient contact and solid understanding of needs. With over 150 years of collective industry knowledge and experience, our sales team can tailor a practical packaging solution – no matter what the challenge!